It's time to #dinelocal AND #donatelocal on Wednesdays throughout the whole month of April! 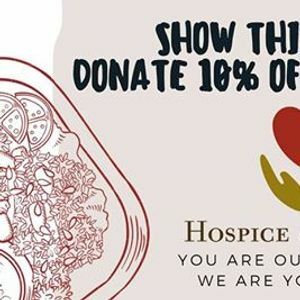 This months local non-profit is Hospice of Lenawee! Show this digital flyer or the printed one being handed out and 10% of your breakfast, lunch, dinner or sweet treat purchase will go to Hospice of Lenawee!